Recently during a wider conversation with one of my clients, the question of research and development was raised. It transpired that the company was eligible to apply for UK HMRC Research and Development Tax Relief. Given that this is not an area I excel in, I sought out an associate who is an expert in this area. Answering his simple questions below, my client was able to use my specialist associate to apply for R&D tax relief. Currently, it is looking like there should be a substantial saving on the horizon. 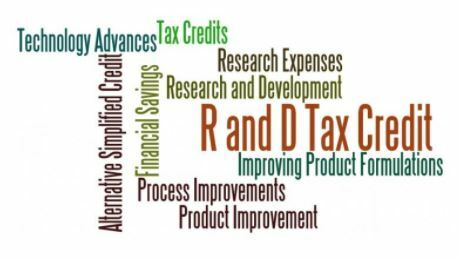 So do you qualify for R & D Tax Relief? If you own a limited company that has been trading for over 12 months, employ a minimum of 10 staff, and can answer YES to any of the following it is worth you having a free no obligation check on this, as my colleagues work on a no-win no-fee basis. Q1. Have you made any bespoke products or customised products? Q2. Have you developed new products or been involved in introducing them? Q3. Have you carried out any design work in-house or subcontracted design? Q4. Are you regularly problem-solving for customers’ needs? Q5. Have you ever made any environmental improvement to your processes? Q6. Have you consistently made improvements your manufacturing processes? Q7. Have you developed or improved any software for your business? If you can answer YES to any of the above questions, please contact (details below) me as you may be eligible for R & D Tax Credits.